Bach vocal is expanding! 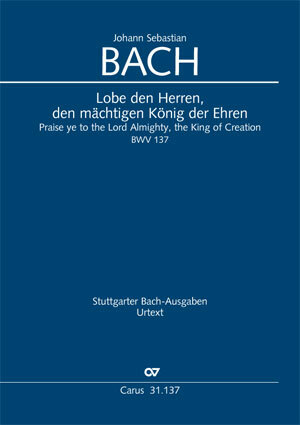 We have added to our series Bach vocal two new Bach cantatas and several study scores, and the Choir & Organ series also has a new publication with an arrangement of Biber's Requiem in F minor. For singing and music-making together at Advent and Christmas time, we can highly recommend the choral collection Christmas Carols of the World. We have extended our special offer on this title for the coming Christmas period. Order your copy by 24 December 2015 at the price of just 27.90 Euros for the choral collection with accompanying CD! We wish you much pleasure in looking through, making discoveries and performing, as well as a reflective Advent. 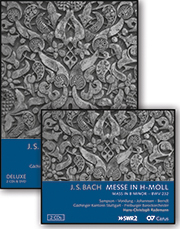 Two new Bach cantatas and several study scores have been published in the series Bach vocal. By 2017 the complete vocal music by the Kantor of St. Thomas's will be available from Carus. A new issue in the series Choir & Organ is an arrangement of Biber's imposing Requiem in F minor! 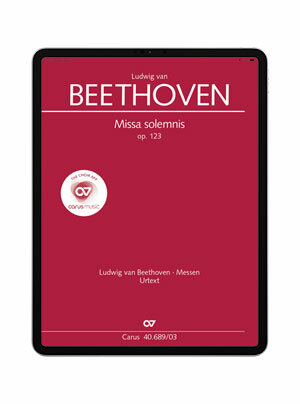 We've expanded our range in carus music, the choir app, with Beethoven's Missa solemnis and Schubert's Magnificat. And still to come in 2015 are the Abendlied by Rheinberger and Mozart's Vesperae solennes de Confessore to help singers learn these works. More releases are planned for next year. You can look forward to Vivaldi's Credo, the Nicolai Mass by Haydn, Bach's St Matthew Passion and many more works! 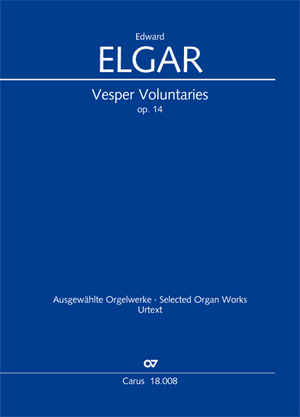 With his Vesper Voluntaries, Edward Elgar composed a wealth of organ pieces for performance in church services and concerts. These wonderful miniatures, composed in song form, two to three minutes in length, can be performed individually or as a complete cycle. The Great Wall by Kay Johannsen developed out of an improvisation, a homage to the Great Wall of China. This thrilling work, which recalls Ravel's Bolero at certain moments, communicates directly with a wide range of audiences. Heinrich Schütz: Saul, wilt thou injure me? Hardly any other work made such a deep impression on Uwe Wolf in his youth as "Saul" by Heinrich Schütz, which he sang for the first time as a young bass aged 14 or 15. And it continues to exert its fascination today: when, towards the end, the tenor emerges from the tutti writing with his step-wise ascending calls of "Saul", you simply cannot avoid getting goose-bumps. Sheer delight! Our new recording of Bach's Mass in B minor by Hans-Christoph Rademann with the Gächinger Kantorei, Freiburg Baroque Orchestra, and outstanding soloists Carolyn Sampson, Anke Vondung, Daniel Johannsen, and Tobias Berndt, has been awarded the German Record Critics' Award.